Shmurah means watched, and it is an apt description of this Matzah, the ingredients of which (the flour and water) are watched from the moment of harvesting and drawing through the baking and packaging. This intensive process and careful guarding gives the Shmurah Matzah an added infusion of faith and sanctity--in fact, as the matzah is being hand-made, all those involved constantly repeat "l'shem matzot mitzvah"--"We are doing this for the sake of the mitzvah of Matzah." It is thus fitting to use Shmurah Matzah on each of the two Seder nights for the Matzot of the Seder plate. Shmurah Matzot are round, kneaded and shaped by hand, and are similar to the Matzot that were baked by the Children of Israel as they left Egypt. They are under constant strict supervision to avoid any possibility of leavening. 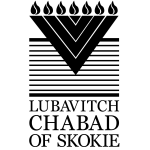 Please add a donation to my order, to support Lubavitch Chabad of Skokie, and all the wonderful activities.